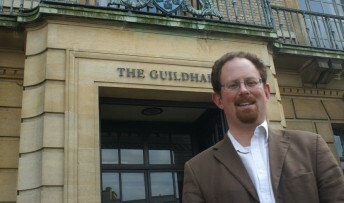 MP Julian Huppert has welcomed help for Cambridge’s young unemployed and small businesses in the Chancellor’s Autumn Statement. He said the doubling of higher level apprenticeships, training and more support through the Job Centres for 16 to 17-year-olds and tax incentives for companies to employ young people would help to get more into work and training. And he said by cutting the business rates for small businesses and those taking over vacant shops, the government had shown real commitment to revitalising High Streets across the country. “If we are to help our youngsters, we need businesses to be thriving and creating jobs,” he said. “These measures will go some way to securing that. “I was also pleased to see that the Chancellor has confirmed the Lib Dem proposal to give free school meals to all infant school children. This is an important measure which will guarantee that every youngster under seven gets a hot meal at lunchtime. We know it helps with school attainment. “I am also delighted with the announcement of an end to above-inflation rail fare increases. I have been pressing for this to end; fares are already too high. This is good news for hard-pressed commuters.